Go crazy in love for a whole night of 00s tunes. When the year 2000 rolled around, Y2K didn't hit, and the decade that gave us Donnie Darko, Lady Gaga and The OC began, no one thought we'd be nostalgically reliving its glory days just a few years later. But we are, because what's not to love? The first ten years of this century also served up Beyonce and Gwen Stefani going solo, a little franchise called High School Musical and a whole heap of televised singing contests, after all. 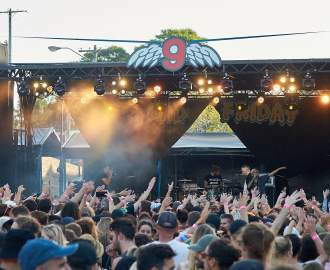 Whatever part of the 00s you love, expect it to get a whirl at Sydney's huge retro house party, with The Lansdowne Hotel jumping back into the past. Come 10pm on Friday, February 22, you'll be hitting the dancefloor to everything from Backstreet Boys and Britney Spears to Shaggy and Shakira. Tickets start from $10, and digging out your old 00s threads is highly recommended — there'll be a prize for arriving NSYNC with the theme.